Veteran Faces Charges After Being Shot at VA? Negrete's service record, obtained by The AP from the U.S. Army Human Resources Command at Fort Knox, Kentucky, shows that Negrete served in Iraq for one year starting in October 2008 and then in Afghanistan from October 2010 to August 2011. 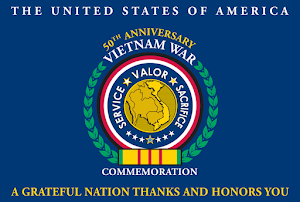 SALEM, Ore. — An Army veteran who was shot during a confrontation inside a Veterans Affairs clinic in Oregon where he went to seek help for mental problems was in jail Tuesday, charged with attempted assault, unlawful use of a weapon, menacing and other crimes. Gilbert "Matt" Negrete allegedly displayed a knife Thursday after arriving at the clinic in White City, where he had an appointment. The Jackson County Sheriff's Office said VA police tried "less-lethal force options" to disarm Negrete before one of the officers fired, hitting him in the chest. Negrete, 34, was flown to a hospital in nearby Medford. No one else was injured. Negrete was released from the hospital Saturday and is in the county jail with bail set at $250,000, Deputy District Attorney Laura Cromwell told The Associated Press. Negrete was arraigned Monday via a video hookup from jail, Cromwell said. He is being provided with a public defender. Authorities will convene a grand jury later this week which will determine whether to indict Negrete, Cromwell said in a telephone interview. She anticipates that his attorney will urge the grand jury to take Negrete's military history into account. At least five of seven jurors must concur for the case to move forward. Homelessness among veterans rises in D.C. Veteran Affairs Secretary David J. Shulkin has expressed concern that homelessness among former troops in the District has inched higher, even as it has fallen nationwide. According to the annual “Point-in-Time” tally of people sleeping outdoors in winter, the District counted 672 homeless in 2017, up from 350 in 2016. The data from last week’s PIT tally will be available in May. 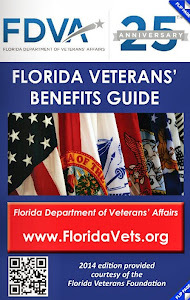 In addition, 14.1 percent of the District’s 28,400 veterans were reported living in poverty in 2016, up from 10.5 percent in 2015, according to the Census Bureau. Citing poverty as a leading risk factor for homelessness, federal and local providers of human services have begun shifting resources to address the needs of veterans at risk of becoming homeless. 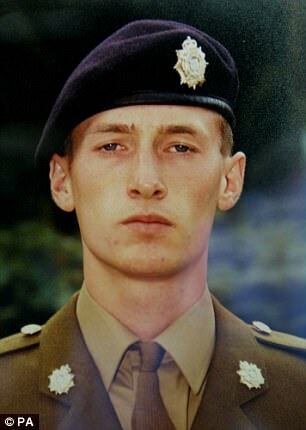 He told the inquest in Woking, Surrey today that former sergeant Andrew Gavaghan jumped out of a makeshift coffin - which had originally been filled with sandbags - as soldiers carried it during a practice session ahead of the funeral. A former Army sergeant hid inside and jumped out of a makeshift coffin which was being used by soldiers to practice for the funeral of a young recruit who had died in a shooting at the controversial Deepcut barracks, a coroner heard today. Pte Sean Benton was found dead with five bullet wounds to his chest on June 9, 1995. The 20-year-old was the first of four recruits to die at the Surrey barracks in seven years, a new inquest into his death has heard. Former fellow recruit and close friend Neil Williams was initially refused permission by officers to attend the funeral but was finally allowed when Pte Benton's mother, Linda, requested him was a pallbearer. Mr Williams also told how he was asked to take part in the clear-up at the site of Pte Benton's shooting. After reading that sheriff’s deputies had shot and killed a disturbed young veteran who had threatened deputies with a shotgun, two local Vietnam veterans were moved to do something. Bud Huffman and Jim Muhr left the service decades ago, but have had to cope with post-traumatic stress disorder ever since. 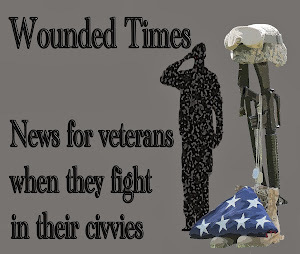 Now they hope to reach out to other local veterans struggling to avoid another such tragedy. In June, Jacob Brown had a PTSD attack on his birthday near his home in Beaver Valley Estates. Frightened, Brown’s wife fled the area with their children and went to Prescott to stay with family. Alone, Brown stormed around the two-story rental. Surveillance cameras, which Brown had installed inside and outside the home, picked up his movements. On the phone, Brown told his uncle he wanted to kill himself, but couldn’t reach the trigger on his shotgun. His uncle called 911 for help. The two deputies had moved onto the porch with guns drawn when Brown stormed out of his home. Brown ignored orders to put down his weapon, so the officers fired on him. Both Muhr and Huffman recently met with GCSO supervisors, deputies and correctional officers in both Payson and Globe to offer their assistance as members of the Payson Veterans Advocacy Committee. Generally, officers have little training in how to deal with someone suffering from PTSD and the sheriff’s office doesn’t have a special unit to deal with things like a confrontation with a mentally ill person or even a hostage-taking situation. God grant me peace with memories of yesterday. Courage to face what comes knowing I can make a difference this day. Hope that tomorrow will be a better day. Yesterday is gone. I cannot change what has been. Help me do the best I can today and tomorrow, begin again. You created me to be able to help others. Help me to accept help from others. You created within me courage to do what had to be done. Help me to ask for help when the one in need is this one. You surrounded me with people who would die for me. Help me trust them with my heart so they may see the wound within me. do for others as you created me to do. When I think about regular people, like me, losing hope to the point where they commit suicide, it is heartbreaking. Hope is what keeps all of us from giving up this life we have. Often it is not enough to love others, if we feel as if we do not deserve to be loved. There was a time in my life when I felt that way. 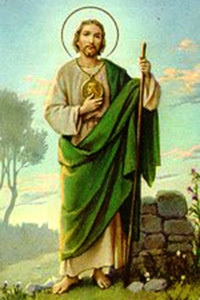 While I did not attempt suicide, I prayed that God would to it for me. I lost hope, a sense of self worth, but above those, I lost faith that God even cared about me. When the people committing suicide were those who dedicated their lives to saving others, it is beyond heartbreaking. 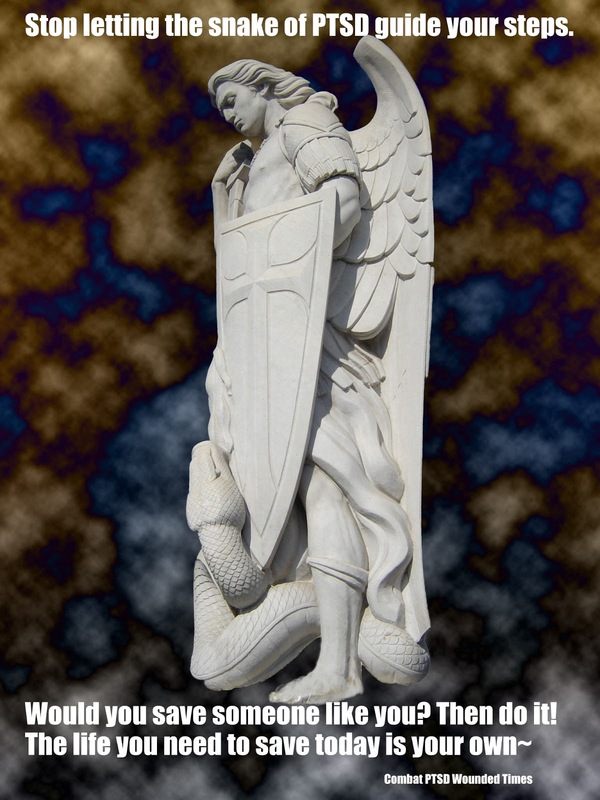 If you are among those in the military, veterans, police, firefighters and first responders, please read the prayer I wrote for you because after all these years of working with some of you, that is what I see within all of you! INDIANAPOLIS — The Indiana National Guard says one of its soldiers has died after arriving for training at Fort Hood in Texas. 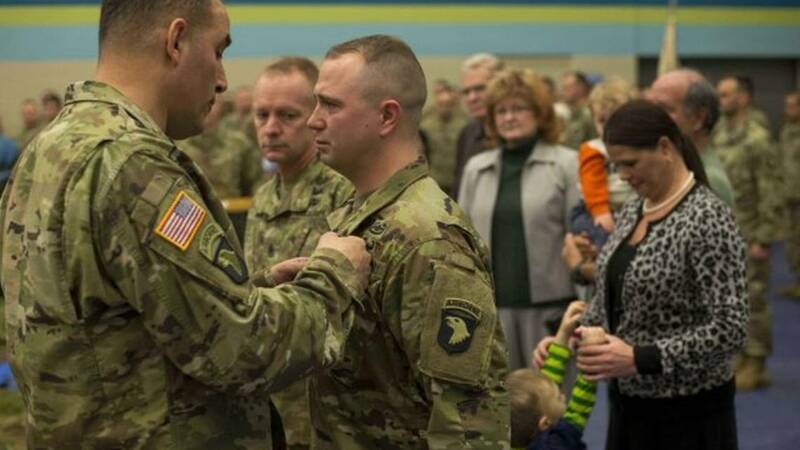 101st Soldier rescued people from burning car...including himself! "As I was [unbuckling her seatbelt] the whole vehicle caught fire, and I just felt a blanket of fire wrap around my body, and everything just happened in a matter of seconds from there," Davis said in an Army news release.. "But before I could get the other half of her body out, she caught fire from all the fuel that was on her. I noticed she was on fire [shortly] before noticing that I was on fire too." It was a normal summer day on June 9, 2017 when Staff Sgt. Nicholas Davis, C Battery, 1st Battalion, 320th Field Artillery Regiment, 101st Airborne Artillery cannon crew member and section chief, was driving home to Ellijay, Ga., from Fort Campbell in Kentucky. As he was cruising down the road near Nashville, he noticed a car overturned on its passenger side. It had flipped almost completely over, coming to rest on a slight downward slope, reported the Atlanta Journal-Constitution. Few other drivers seemed concerned, according to the Army. "I was pulling up, and I noticed there was a small engine fire underneath the belly of the car, so I jumped out and ran up to the vehicle," Davis said. When he reached the car, he found two people, Rick and Sharon Steiert, trapped in the vehicle. Most distressingly, a can of fuel that had been in the back of the car had tumbled during the crash. It had now become wedged under Sharon's legs, and she was covered in gasoline. Sometimes Heroes Need Help Too! There seems to be a lot of confusion about something that should not confuse anyone after all these years. Human beings are not helpless because others are there to help them. Those others, you, pay a deeper price than anyone else. For you, it is a matter of facing life or death situations over and over again because you chose it as your job to do. When you are one of those rare ones putting the lives of others ahead of your own, that is what a hero does. Sure, you may get uncomfortable with that word and think of others you served with as more worthy of that title, but to the rest of us, that is exactly what you are. There is a price you pay for what is inside of you. The same courage that made you want to do that job in the first place, is waiting for you to have the courage to ask for help. In other words, it may be time to call for backup! If you see yourself as a victim, then you may be not even thinking of that in the right way. Do you feel the "victims" you risked your life for were worthy of the effort? After all, you managed to be there so they went from "victim" to survivor. Didn't you? 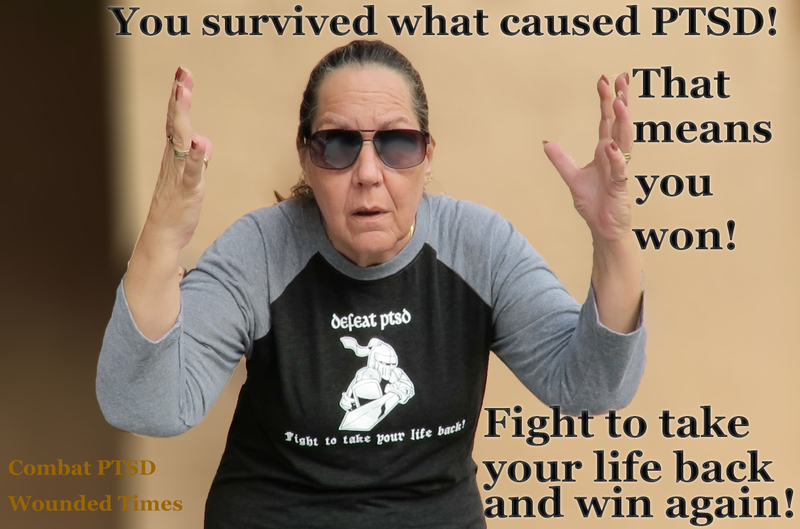 If what caused the PTSD did not win when it happened, then why let it defeat you now? You are a survivor of what happened yesterday and it became part of you but did not change you. It changed the way you think about yourself and others. It did not change "who you are" even though it changed "how you are" but you are in control of what you make out of what it is trying to do. Someone told you a lie that may have made sense but if they told you PTSD is based on weakness, not being tough enough to take it, then they don't know what they are talking about. It is because you have a much stronger emotional core than they do. Maybe they are just jealous of that quality you have, then again, maybe they are only covering up their own pain because someone else told them that same lie. Look up most of the Medal of Honor recipients who openly talked about what their actions did to them and how they battled PTSD as hard as they fought to save lives on the line. When you walk away from "IT" you do not just carry your own pain. You carry the pain of others. Often they are not even people you know. Most of the time they are the one too many strangers you saw suffering, that piled onto all the others you encountered. So please, ask yourself a very important question. "If life mattered so much to you, you risked your own for their sake, then why doesn't your life matter to you?" Are you willing to turn to the very people you know would have died for you and trust them? You only have PTSD because you survived "IT" so stop thinking it defeated you. Stop being your own worst enemy and start being a hero in your own story. After all, if you think you are the only one you were with suffering, all you need to do is take an honest look at them and see the pain in their eyes. You know, the same pain you see when you look in the mirror. What are you waiting for? This time the life you save needs to be your own! 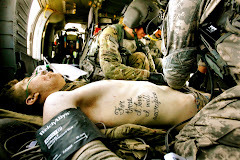 "Spreading the message that the heroes saving lives everyday, sometimes need help themselves. 'It reminds you that you are out there doing good. We didn’t do anything to cause any of those tragedies to occur, but we did the best we could.'" “Terry Wayne Ward, age 71, of DeMotte, IN, escaped this mortal realm on Tuesday, January 23rd, 2018, leaving behind 32 jars of Miracle Whip, 17 boxes of Hamburger Helper and multitudes of other random items that would prove helpful in the event of a zombie apocalypse." DEMOTTE, Ind. – A northwest Indiana woman decided the style of traditional obituaries didn’t quite fit her dad’s personality, so she wrote up one that did. “He lived to make other people laugh…it was the only way to honor him properly,” said daughter, Jean Lahn, of Lowell. 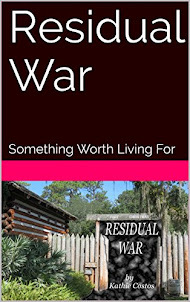 Terry Ward moved to Demotte from suburban Illinois in 1973 after serving in the Vietnam War. The Army veteran wanted a quiet place in the country after participating in active combat. During her work at Geisen Funeral Home, she has seen her fair share of stale obituaries, usually set up the the exact same way. “I wrote it myself and I didn’t tell anyone I was going to make it funny,” Jean said. After reading it, the rest of her family said it was perfect and shared many laughs. Larry “Smiley” Kleiman, who did two tours in Vietnam, had almost no natural teeth left when he saw Dr. Michael Tischler, founder of the Teeth Tomorrow franchise network, for a consultation. “He smiled, he had no teeth. His his name was Smiley, he was a fireman. He worked with dogs in Vietnam. 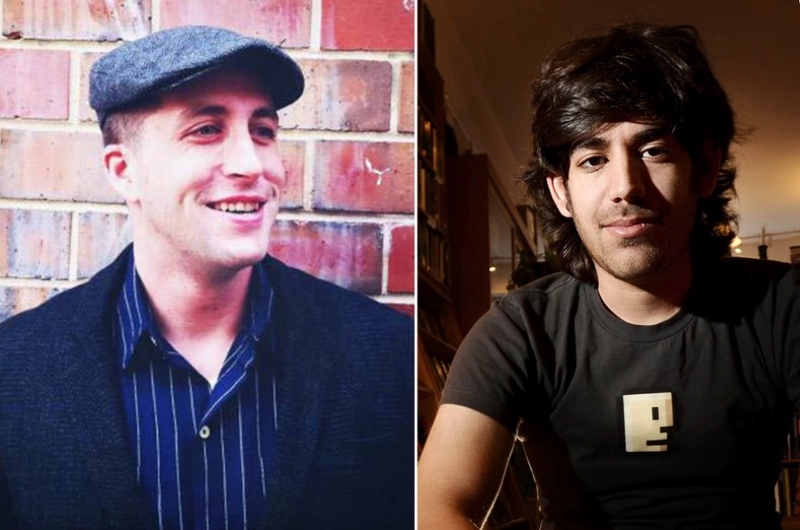 And everything about him was just the kind of person that you wanna help,” Tischler said. Top guns in tears: The bravest and the best yet weeping and traumatised, war heroes say they have nowhere to turn for help - will the MoD heed their call? "My experiences have also made me a much more emotional person and tears can flow at the simplest of triggers such as Remembrance Sunday, when I recall the friends I have lost. In those moments I take solace that at least I understand what is happening to me – the processes of PTSD and how it shows its teeth." 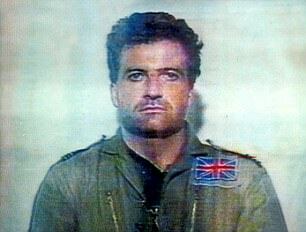 Twenty-seven years ago I was shot down over Iraq, captured, tortured and forced by Saddam Hussein’s henchmen to appear on television to denounce my actions as an RAF officer. Images of my bruised face flashed across the world and became a lasting image of the horrors of the 1991 Gulf War. 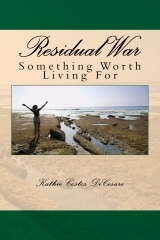 As a prisoner of war, I felt like the most insignificant, terrified human being on Earth. The memories of my abuse and brushes with death are still with me. 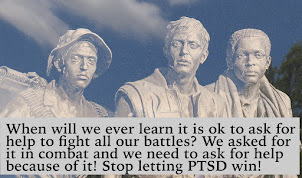 Dealing with Post-Traumatic Stress Disorder (PTSD) has become part of my life. For this reason I am backing The Mail on Sunday’s campaign to improve mental healthcare for serving troops, including the introduction of a 24/7 helpline. I feel the pain of those worst affected by PTSD. As someone who has experienced it myself, I understand what they are going through and the confusion they can face. I can be enjoying a perfectly normal day or night when a sensory stimulus, or trigger, fires me back into my past. For me it is primarily noise – loud bangs, fireworks going off, trains going past, all these sound like the Coalition jets that flew missions over Baghdad attacking several of the buildings we were held in. "War hero and Internet activist — it’s the dichotomy that made up the complicated life of James Dolan." The ambulances and police cars came to a screeching halt outside the Gowanus Inn and Yard, a hip, ultramodern hotel that had recently opened on an edgy strip of Union Street in Brooklyn. But the first responders were 48 hours late. James Dolan, a 36-year-old former Marine and computer security expert, had hanged himself in his room two days before, on Dec. 26, according to the NYPD. "There is more than one way to self-destruct, of course. Some people kill themselves in a single act, others in installments. Their sense of purpose and self-worth evaporates; they stop caring whether they live or die until, eventually, they are beyond reach." 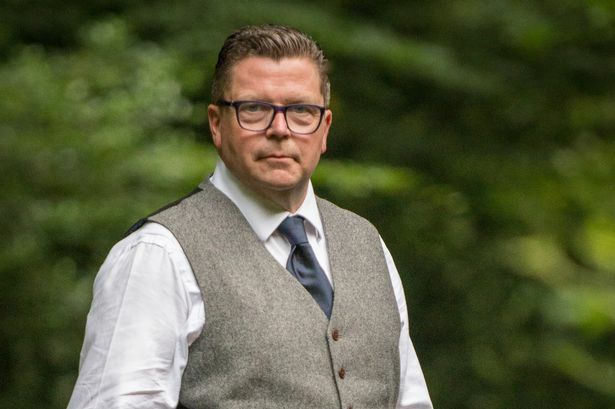 Former Army sergeant Calum MacLeod was in an Irish American bar in Germany when he suffered the flashback that forced him to face up to his post-traumatic stress disorder (PTSD). With hindsight, he accepts he had been struggling for a long time. 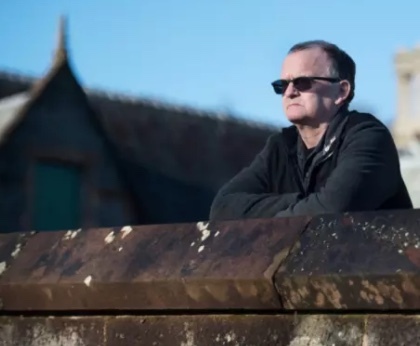 Ever since he had been attacked while serving with the King’s Own Scottish Borderers in Northern Ireland in 1992, he had suffered nightmares, which he countered with heavy drinking. Back then, a crowd of youths had cornered him in an alleyway, hit him over the head with a concrete slab and stolen his gun. When he regained consciousness in a hospital in Belfast, he was told one of the youths had pointed the weapon at his head and fired, but the mechanism had jammed, so he survived. MacLeod, from Hamilton, ended up in a psychiatric hospital where a colonel told him he was suffering from one of the worst cases of PTSD he had ever seen. Posted back to the UK and unable to cope with confined spaces, he pioneered a successful scheme to help would-be Army recruits reach the required level of fitness. 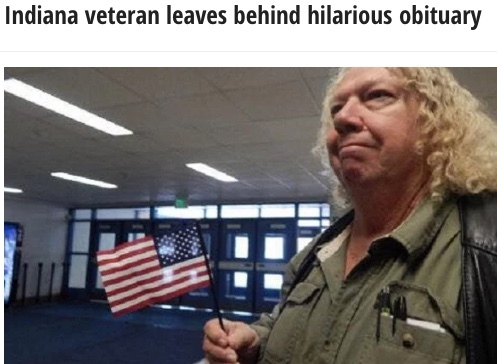 But, in 2011, after 23 years of service, he decided it was finally time to call it a day. I finally did what one of my co-workers has been after me to do for a long time. Now I can go into work on Monday and say, "Yes I did publicize how long I've been doing this." 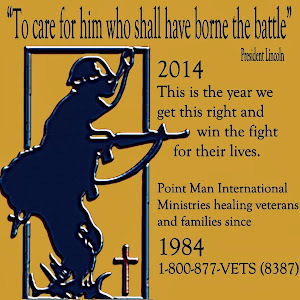 I got into the healing business of Combat related PTSD back into 1982. Yes, I am that old. 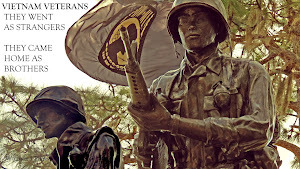 My Dad was a Korean Veteran and my uncles were WWII veterans. On the night my Dad met my then, Vietnam veteran boyfriend, he said "He seems like a nice guy, but he's got shell shock." Never heard that term before. When I asked what it meant, he said "It has to do with war" but he couldn't explain it. He told me to go to the library. Basically, he started this but the man I fell in love with and married back in 1984 kept me going ever since. I am sure you've read about the rants I do regarding reporters not doing their jobs and the awareness raisers taking the easy way out on all of this, but now you'll know why I get so angry. 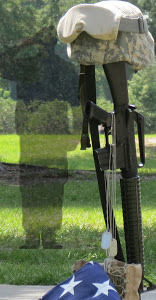 Two years after researching PTSD, I finally knew enough to write about it. It was mostly in local newspapers. Then I got on the phone to get reporters involved with what families like mine were going through. They ignored all of it. In 1993, it was doing online research and writing and there were a lot more like me out there. I learned from them and they learned from me too. 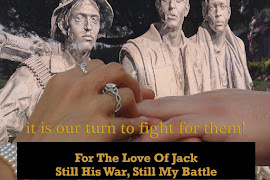 My first book "For the Love of Jack" was done in 2000 but I couldn't find a publisher. It was self published 2003. Wounded Minds is one of the first videos I created back in 2006. I spent a long time going through files to find some of the older ones that used to be up on YouTube. 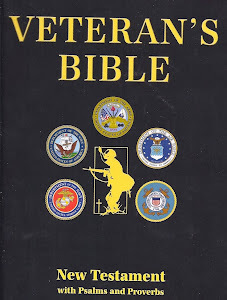 Here are some of them that may prove the point, that taking the easy way out on taking care of our veterans, has been the reason we have lost so many of them. You can watch a couple of hundred more here. Want to stop supporting people in the business of having fun with talking about suicides or do you want to start publicizing people in the business of healing? I have a lot of emails saved on what this work meant and the fact that regular people like me can make a huge difference if we take the time to actually learn what this is. Kathie, You may be receiving an E-mail from the 'Huffington Post - Contagious Videos' as I just Registered your video 'Wounded Minds'!! I posted your name and e-mail on the online registration form, I think you should post the video up there, Hell even All of them, which I just Viewed and will pass on! Hope you don't mind me taking the Liberty of writing them for you, if so just let me know! THANKS for putting these together, I'll post them up on my blog: http://imagineaworldof.blogspot.com/ along with LinkBacks to your site and blog, and will be passing All of them on to as many as possible!!! Seven years ago, Michael Gaither felt hopeless. 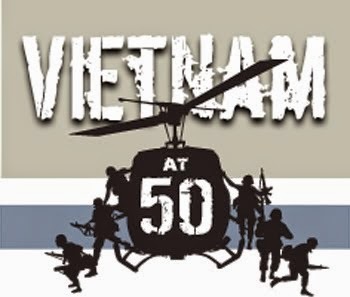 Long after his military service in Vietnam, he was still traumatized and suffering. He didn’t want to see his children. He drew the curtains and locked the doors of his Chiefland home. This is how he planned to spend the rest of his life. Then came Honey, a full mobility and post-traumatic stress disorder medical service dog. 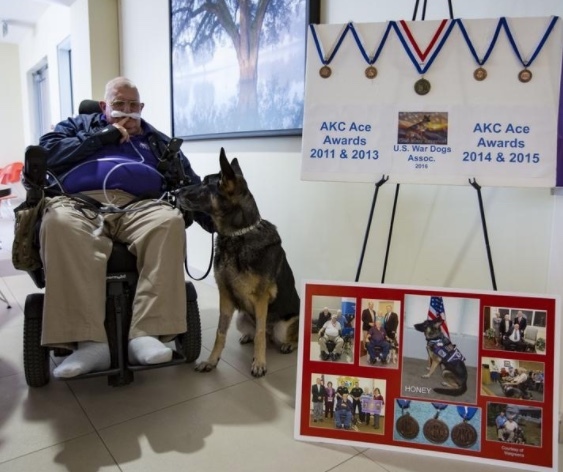 Gaither and Honey met through a research project conducted by the Veterans Administration that pairs medical service dogs and veterans with PTSD. For the past seven years Honey has given Gaither physical and emotional support. She helps the 72-year-old dress every morning, picks up anything he drops and comforts him when he has night terrors. Both Gaither and Honey are terminally ill. Besides PTSD, Gaither has multiple sclerosis and osteoporosis. He’s currently in hospice care at Malcom Randall VA Medical Center. “Honey takes his mind off all that,” said Gaither’s wife, Kaye, 75. Honey is affected by aspergillus, a fungal infection that no amount of antibiotics has been able to quell. She’s being treated at the UF Small Animal Hospital with the integrative medicine service. For as long as humans have walked this earth, there has been a risk that they would experience a traumatic event. For some, traumatic events create psychological effects that will last for months after the initial event. The "Courage Without Fear" exhibit is now on display at the Tri-Cities Historical Museum, 200 Washington Ave. in downtown Grand Haven. Today, this is commonly referred to as post-traumatic stress disorder (PTSD). According to the American Psychiatric Association, about 3.5 percent of adults in the U.S. will experience PTSD in a given year and 9 percent of people will develop it at some point in their life. For those who have served in the armed forces, that number is even higher. The Department of Veterans Affairs estimates that 10-18 percent of veterans who have served in Iraq or Afghanistan are likely to develop PTSD after coming home. For some, PTSD can lead to substance abuse or other issues. 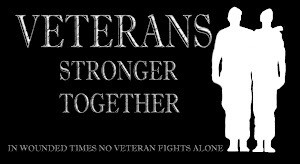 The good news is that veterans are now seeking care more than ever. 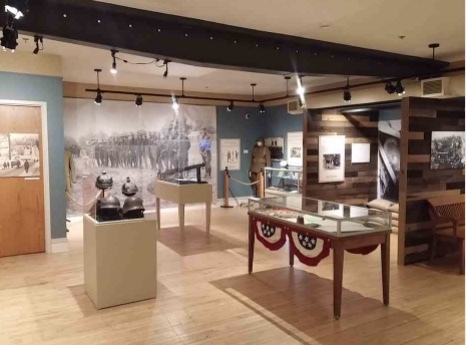 Earlier this month, the Tri-Cities Historical Museum opened a new exhibit titled “Courage Without Fear: The Red Arrow Division in World War I.” This new exhibit uses first-hand accounts to tell the stories of local soldiers who braved muddy trenches, attacks on machine gun nests and hours-long artillery barrages during the war. Men from the Tri-Cities saw combat in some of the most intense battles of late World War I, including the famous Meuse-Argonne offensive that sealed victory for the Allies. In 1915, the British Army Council gave in to the doctors and public sentiment and officially declared shell shock as a wound. Early on in the war, British doctors tried a variety of treatments, including hypnosis, in an attempt to keep as many soldiers on the front lines as possible. As the war dragged on, the British Army continued to change procedures for how doctors could diagnose and treat shell shock. By 1917, soldiers were treated by being assigned to a rearward trench where they could get a break from battle, sleep and eat in relative comfort. After a short break, they would return to the front. A full evacuation of a shell-shocked soldier was only considered if no improvement was seen after several weeks of treatment. This style of treatment was used until the end of the war in 1918 and was seen as effective by the medical community and the army alike. Unfortunately, following World War I, there was a collective silence in regards to shell shock. 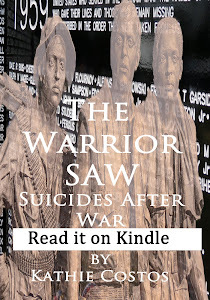 Many of the survivors feared a rekindling of their symptoms if they discussed their war experiences. 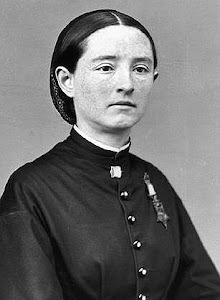 In the medical community, hardly anything was published on the causes of shell shock or ways to improve treatment. 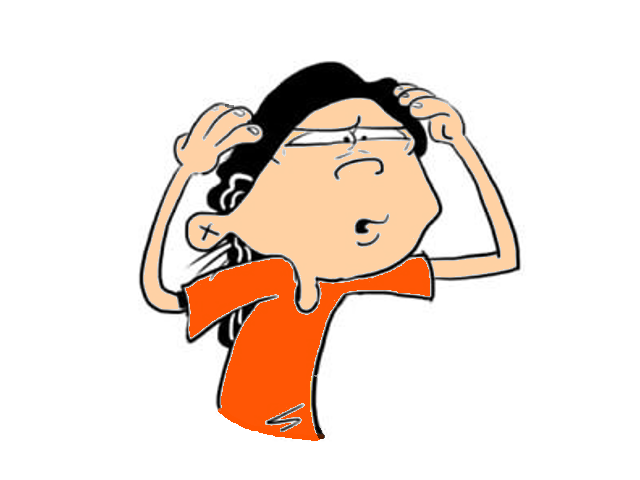 It wasn’t until decades later, in 1952, that “gross stress reaction” was added to the Diagnostic and Statistical Manual of Mental Disorders. In the 1970s, PTSD became the commonly accepted term. Staff Sgt. Vuong said he was just upholding his Marine pledge of honor, courage and commitment. 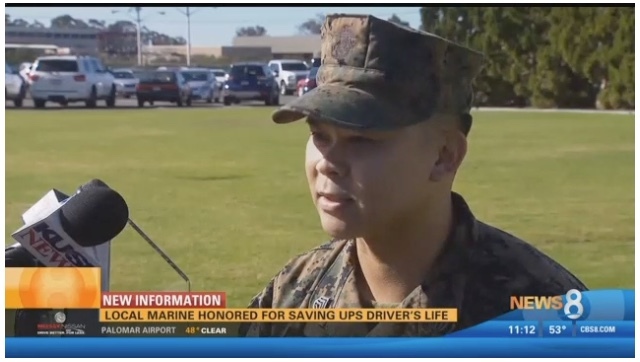 SAN DIEGO (NEWS 8) – A special honor Friday for a San Diego Marine who was in the right place at the right time to save a life. Staff Sergeant Hai Vuong Rushed into action when two semi-trucks collided on a San Bernardino freeway last November – pulling one of the drivers to safety. Staff Sgt. Vuong was honored with the Liberty Mutual Insurance Lifesaver award for his heroic actions. “I just happened to be there at the right time and the right place,” he said. Staff Sgt. Vuong was driving on Interstate-15 in San Bernardino with his family when the two semi-trucks collided. He was able to safely pull over and rescue one of the drivers. Vuong said he could smell fuel leaking into the cab and feared it could explode. The driver had a gash on his head was bleeding. New Hampshire Hospital for the mentally ill is prison? 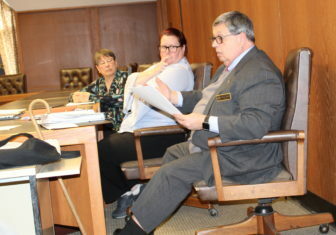 CONCORD — Two mothers told lawmakers their daughters are harassed, humiliated, and sometimes “locked down” at the Secure Psychiatric Unit at the New Hampshire Prison for Men, and a former patient recounted nearly dying as his pleas for emergency medical care were ignored. The Secure Psychiatric Unit has stirred controversy because mentally ill people are held there if they haven’t committed a crime, but are considered too dangerous to be housed at the New Hampshire Hospital for the mentally ill.
At SPU, civilly committed patients who were found not guilty by reason of insanity and not competent to stand trial are commingled with convicted criminals who are mentally ill in a 60-bed unit on the grounds of the men’s prison. Presently, three women and one person who is transitioning from male to female, are housed in the unit on the prison campus with about 1,400 men. “My daughter has been in SPU (Secure Psychiatric Unit) for three years,” said Cindy Glazier. “I can visit on weekends. That’s it. It’s a prison setting, not a psychiatric unit. It’s not for patients. She’s treated like a prisoner and it’s not set up as a hospital. Glazier’s daughter, Patina Welch, pleaded not guilty by reason of insanity in 2015 to jumping out a second-story window in Lyman holding her 4-month-old boy-girl twins, killing her son and injuring her daughter the summer before. Welch told police she was trying to save them from armed intruders. The prosecutor at the time said there was clear and convincing evidence that Welch suffered from a mental disease or defect. Welch was diagnosed with schizoaffective disorder, bipolar disorder, post-traumatic stress disorder and personality disorder. A former London firefighter has opened up about how his dream job spiralled into a nightmare when years of trauma finally caught up with him. 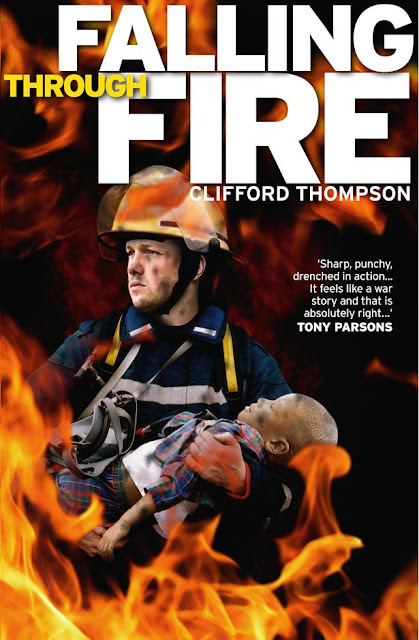 Now a BBC journalist, Clifford Thompson was a London Fire Brigade officer for half a decade. From 1987 to 1992 he tackled some of the capital's most devastating events, including the King's Cross tube tragedy and the Clapham rail crash. 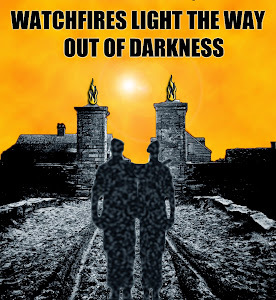 But after five years in the brigade, Cliff's world collapsed when he watched a three-year-old boy he rescued from a house fire die before his eyes. The body of 69-year-old Dennis Reidy was found Tuesday in the corner of a park in Lexington. Coroner Margaret Fisher tells WYFF-TV that Reidy was found in "a type of garage storage box" wearing a South Carolina Gamecocks jacket. It’s a picture that tells a story of loneliness, hopelessness, despair. In the quiet corner of a Lexington park is the place where a homeless veteran lived and died. A 15-year-old discovered the body of 69-year-old Dennis E. Reidy there on Tuesday. “Lying in, basically, a type of garage storage box,” said Lexington County Coroner Margaret Fisher. It’s a case that brings tears to Fisher’s eyes. 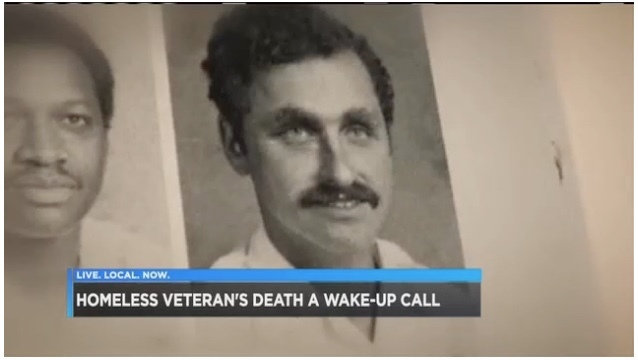 Since Tuesday, she’s discovered Reidy was a Vietnam War veteran, a Richland County deputy from 1978 to 1990, and a University of South Carolina grad. But what’s more unforgettable to Fisher is where he was found. 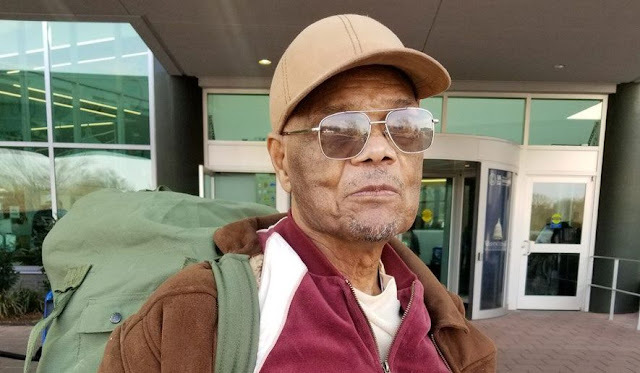 His body was found on Chariot Street, which is just a short walk from a shelter for homeless veterans where James Wardlaw, who goes by J.W., is outreach manager. Reporter failed to Google what he was told about PTSD by Army? In keeping with holding reporters accountable for what they report, we have another example of a reporter failing the subjects. Just think, with all the stuff popping out, reporters get paid to do it? Looks like the Jeremy Schwartz of American Statesman Staff decided to not even read the report they just released, or even ask any questions regarding proof of healing. 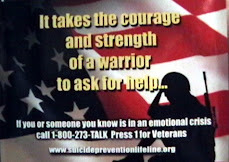 First, here are the numbers of soldiers reported as suicides by the Department of Defense. In 2015, 120 Soldiers committed suicide and 55 Army Reservists and 104 Army National Guards. In 2016, 130 Soldiers committed suicide and 41 Army Reservists and 109 Army National Guards. Up to the first half of 2017, it was 55 Soldiers, 31 Army Reservists and 62 Army National Guards. All in all, when you factor in the other thing the DOD said would also work, called "resilience" training, we see how this reported "progress" is repeating what has not worked. "The study, the first-ever randomized clinical trial of prolonged exposure therapy with active-duty military personnel and the largest study yet of prolonged exposure therapy, was carried out by researchers affiliated with the STRONG STAR Consortium, a multi-institutional research network funded by the Defense Department aimed at researching combat-related PTSD treatments." In 2016, STRONG STAR announced the results of another Fort Hood study that found 12 sessions of therapy led to PTSD recovery in 40 to 50 percent of soldiers. Instead of confronting traumatic memories directly as in prolonged exposure therapy, cognitive processing therapy helps patients learn to think about their traumatic experiences in a clearer way, without “distorted thoughts” that perpetuate feelings of guilt, blame and anger, researchers said. Which is it? The first ever or the second one? What makes this even more frustrating is this piece of news that must have just been too hard to Google to know if he was told anything close to the truth. 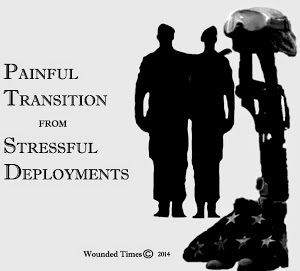 This is from 2015 when a veteran had experienced this therapy. He should know because he is a veteran and had this therapy in 2013. The “gold standard” treatment for PTSD makes many vets’ symptoms even worse. 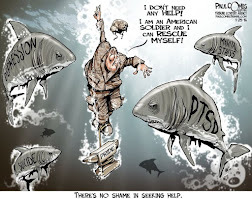 The problem with prolonged exposure is that it also has made a number of veterans violent, suicidal, and depressed, and it has a dropout rate that some researchers put at more than 50 percent, the highest dropout rate of any PTSD therapy that has been widely studied so far. Perhaps a better example of how this does not work, is the research done in 2006 Do You Need To Talk About It? 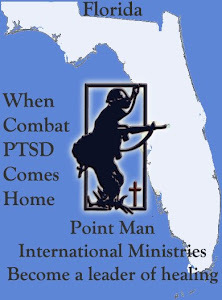 Prolonged Exposure for the Treatment of Chronic PTSD referencing the benefits along with the dates of how long this research has been studied. It goes back to the 90's. 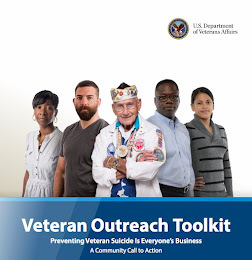 If it worked, then it would have worked and we would not have seen the results we have when the suicide rate of our veterans has gone up, along with the number of service members throughout all branches.